Cloud computing is not a foreign concept for federal agencies. On the contrary, numerous departments have made significant progress in this arena, developing robust strategies that take advantage of the cloud's benefits. At the same time, though, it's also true that many agencies have been hesitant to fully embrace cloud integration. Instead, these organizations have made efforts to shift a small portion of their IT operations into cloud environments while continuing to rely on on-premise solutions for the bulk of their IT needs. As a growing number of agencies commit to the cloud more fully, though, cloud integration strategies are likely to pick up steam. The Federal Aviation Authority is a case in point in this capacity. The FAA recently announced that it had signed a major cloud computing contract, representing a clear-cut commitment to the technology. As CloudTweaks contributor Brian Brinker recently highlighted, this development has major implications not just for the FAA itself, but also for the federal government in general. "The FAA's contract is worth more than $100 million for a 10-year agreement." The FAA's contract is worth more than $100 million for a 10-year agreement. This contract covers data and systems migration into multiple cloud environments, as TechCrunch highlighted. With potential upgrades and add-ons, though, this contract's total value may eventually reach $1 billion. Obviously, this is a large and costly agreement – particularly in light of the budgetary issues which every U.S. agency is now facing, Brinker noter. However, the writer explained that the FAA's IT needs are clearly quite advanced and significant. What's more, these solutions are particularly well-suited for the cloud. 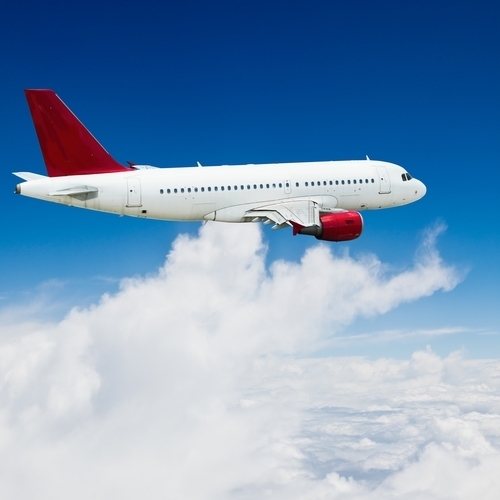 "When it comes to air safety, speed and coordination are essential and cloud computing makes it easy for teams and people to coordinate over vast distances," Brinker asserted. What's more, the writer emphasized that this agreement will quite possibly prove to be a major cost-saver for the federal government. As is always the case with cloud technology, moving IT operations into a hosted environment allows organizations to drastically reduce, or even eliminate, their hardware purchasing and maintenance costs. And the potential for savings in regard to data storage is especially noteworthy, given the ever-increasing amount of information generated and collected by agencies of all kinds, including the FAA. Brinker went on to explain that the FAA's major cloud agreement could have big implications for the rest of the federal government's approach to cloud computing. "The FAA is making some of the most aggressive moves, right now, but in the future cloud computing should be a big investment for the federal government as a whole," Brinker wrote. Of course, the FAA is not unique in this capacity. Other agencies, including the notable example of the CIA, have also signed major cloud computing contracts as part of broad integration efforts. Yet every major federal agency that adds to this trend can help to justify the next department's decision to embrace the technology. "Every federal agency that adopts the cloud can justify the next department's decision to follow suit." But while more cloud adoption efforts are almost certainly on the horizon, this does not mean that the path toward cloud integration is guaranteed to progress smoothly. In order for cloud computing solutions to gain a greater foothold in agencies throughout the federal government, there are a number of factors which need to be taken into account. Undoubtedly the single most frequently cited issue when it comes to cloud integration is IT security. These concerns have held back organizations in both the public and private sectors from fully embracing the cloud, as they have worried that doing so would put sensitive information at risk of exposure as well as potentially violate data compliance regulations. While these are understandable concerns, the major cloud integration efforts demonstrated by the FAA, CIA and other agencies make it clear that such fears are surmountable. The key in most cases is a focused, customized strategy that takes into account the unique needs inherent to a given department. The FedRAMP program, intended to vet cloud services and solutions to ensure they meet basic federal cloud security needs, is a good starting point, but more expansive precautions are likely necessary for broader adoption efforts. In the case of the CIA, for example, the agency required the creation of an exclusive, more secure cloud platform, which will soon be available to a number of intelligence groups. Additionally, it's imperative for government agencies to develop cloud adoption plans that are focused primarily on addressing specific IT needs. No department head should turn to the cloud purely because of its accelerating popularity – rather, cloud strategies should revolve around actual business process issues. To ensure this is the case, federal agencies should work with third-party cloud integration specialists to not only identify key areas where the cloud would prove useful, but to also implement these cloud deployment strategies.